Time: Close to the witching hour. Location: A party hotspot in Gurgaon on New Delhi's outskirts to which a city-based gutkha baron has invited hundreds of celebrities and wannabes to usher in the New Year. A string of performers-from singer Shankar Mahadevan to starlets such as Minissha Lamba-strut their stuff. Suddenly, out of nowhere emerges an eminently recognisable bundle of nervous energy-a certain Shah Rukh Khan. He jokes, shakes a leg and does a quick song-and-dance routine. The fast, furious and fleeting appearance of the 44-year-old Badshah of Bollywood takes the revellers' breath away. Even more breathtaking, however, is that SRK flew back to Mumbai the next morning, richer, reportedly by Rs 5 crore that was paid for his 10-minute cameo. November 2009: SRK is shooting a new ad for direct-to-home (DTH) service provider Dish TV-a film in which SRK as a senior citizen relives his romantic heydays thanks to the pictures beamed by Dish TV on the telly. Between shots he quizzes company COO Salil Kapoor on the DTH business, and is keen to know how it works. He also doesn't lose the opportunity to tell the agency, McCann Erickson, that the ad was conceptualised by him. MISC. ASSETS: Rs 10 cr Includes luxury cars, designer watches, etc. "But what impressed me most was his knowledge of consumer behaviour and marketing. He could easily give a lecture at an IIM on the subject," says Kapoor. The ad is shot over three days after which SRK walks away with a Rs 7-crore cheque. February 12, 2010:My Name is Khan, produced by Karan Johar's Dharma Productions, is slated for release. The story of an autistic Mumbai Muslim who marries a Hindu could add some Rs 10 crore to SRK's kitty if audiences lap it up. Eleven days prior to this, Shah Rukh rang the opening bell at the New York-based NASDAQ stock exchange, an honour usually reserved for CEOs. February 26: Discovery Travel and Living's 10-part series, Living with a Superstar-Shah Rukh Khan, will go on air. The biggest Indian show on TV, with a budget of nearly Rs 20 crore, delves into different shades of SRK's life: As a father, a husband, a businessman, and of course, an entertainer. SRK personally will not earn much from this show. Red Chillies Idiot Box, an arm of SRK's Red Chillies Entertainment, which is co-producing the show, stands to gain much of the spoils. Discovery has already sold all ad inventories for this show. Every step he takes, every move he makes, somebody's out there watching him-and somebody's out there willing to pay a small fortune to see him perform. Whether he's acting, or endorsing a brand, or just being himself at an awards ceremony, SRK mints money. And let's not forget the company he owns along with wife Gauri: Red Chillies Entertainment, which has diversified into highgrowth areas of entertainment like visual effects, television commercials, television programming, in addition to the mainstay of film-making. Put all these interests together and you have a superstar with a net worth of roughly Rs 1,500 crore, making him arguably Bollywood's richest star. To put that in perspective, SRK today is as valuable as papermaker Ballarpur Industries. Those that come close to SRK: Amitabh Bachchan, whose AB Corp (earlier known as Amitabh Bachchan Corporation Ltd. or ABCL) has got a second lease of life and Aamir Khan, who has perfected the balancing act of turning out box-office busters and minting money from brand endorsements. But it's doubtless SRK who has his finger in virtually every lucrative pie. Every brand he puts his stamp on earns him nothing less than Rs 7 crore (he's shot over 30 print and television ads in the past five years), and charges between Rs 3 crore and Rs 40 crore for an event, depending on what he has to do (just "appear" or be the funny man or dance or all of these). And let's not forget the films he appears in-for which he either takes home a share of the profits or at least Rs 12 crore. And then there's the Rs 73 crore company that he has built that has only scratched the surface of the huge entertainment market. Not least is the cricket team he owns in the star-studded Indian Premier League-The Kolkata Knight Riders (KKR) does not have much silverware to show for its efforts but then it is one of the few teams that is in the black. KKR is owned by a company called Knight Riders Ltd., in which Red Chillies Entertainment owns a little over 50 per cent of equity (the rest is owned by actor Juhi Chawla and her husband, Jay Mehta). Make no mistake: SRK is not a passive investor in Red Chillies Entertainment looking to grow the wealth he earns from his celluloid life. Sure, he wants to make money- lots of it-but he also has the sharp vision of a businessman. He loves to be modest and self-deprecating-"I am not a businessman, I am not as intelligent as people think I am," he quips to BT-but at the core of that casual exterior exists a canny entrepreneur who's quick to spot an opportunity and get cracking on it. "I believe in striking when the iron is hot…These businesses (within Red Chillies) are my passion…and all related to the entertainment industry. (They're) not just a means to invest my hard-earned money," says Shah Rukh, sitting in the drawing room of his massive bespoke van, lighting up as many as six cigarettes in a 45-minute-long conversation. Consider, for instance, the VFX division, an appropriate reminder of SRK's foresight. Flagged off in 2006, the special-effects studio contributes just 4.5 per cent to Red Chillies' overall revenues, but it could be a different story in five years. "Quite simply, I want this to be the best VFX company in India. I see this as the main revenue generator for Red Chillies (in five years)," says SRK. "Shah Rukh wanted a path-breaking special-effects studio, which would bring Hollywood's slick sophistication to Indian cinema," adds Keitan Yadav, COO, Red Chillies VFX, which has won accolades for its work in India and abroad. To be sure, it is not the Oscar, but Don-The Chase Begins Again won European accolades for Best Special Effects in 2006. A year later, the Star Screen Awards singled out Om Shanti Om for best visual effects (2007). In 2008, Red Chillies VFX followed up its winning streak by clutching all the biggies to expand its awards arsenal with the Filmfare, Zee Lux, IIFA (Bangkok), Star Screen, Indy's and Apsara Producer's Guild Awards. The division has the largest manpower among the group companies with a staff strength of over 100. The team will work through 2010 on SRK's dream project, Ra One, a special-effects driven film on a superhero that will be played by the superstar himself. Another division that could prove a game-changer -not just for Red Chillies but for the industry itself-is television programming. Red Chillies Idiot Box is the baby in the team with 3-4 shows till date and a couple more in the pipeline. Shah Rukh isn't quite thrilled about the genre of programming that works currently on TV, but he expects audience tastes to change (perhaps even mature) in a few years by which time his company will be ready to deliver. Still, Idiot Box contributes 15 per cent to overall revenues, and SRK realises the need for a diversified spread-films in 2009 accounted for 60 per cent of revenues (down from almost 86 per cent in 2005 and 88.4 per cent in 2008). Just one turkey at the box office could mar the company's prospects-for instance, one reason for Red Chillies hurtling into the red in the year ended March 2009 was higher salary costs, investments in TV division and lower recovery from films than in the previous year (ended March 2008) when the company showed a profit of Rs 7.5 crore, thanks largely to the success of Om Shanti Om. If films can be a volatile business, 20:20 cricket is a virtual lottery. But here too SRK's business acumen comes to the fore. Despite being saddled with the wooden spoon in IPL's second edition (and finishing sixth in the first), the company that owns the franchise (Knight Riders Ltd.) is one of just 8 IPL teams to be in the black. Over 2007-08 and 2008-09, KKR has clocked net profits of Rs 37 crore and revenues of Rs 197 crore, thanks to a steady stream of sponsorships, earnings from gate receipts and merchandise, amongst others. But SRK is clear: KKR has to win to justify its existence. "I didn't buy an IPL team to make crores of rupees…I can make money by dancing at weddings," he quips. With businesses that traverse virtually the entire spectrum of entertainment-from films to cricket-SRK is trying something that no Indian film star has done before. And he realises that he can't do this without the help of professionals who are passionate and understand the business. The experience with Dreamz Unlimited- SRK's first, and unsuccessful, attempt at a production company in 1997 with actress Juhi Chawla-has taught him some valuable lessons. Shah Rukh, who is superstitious about the number 5 (his BMW 7 series car and van have registration plates with 555) like telecom billionaire Sunil Mittal, doesn't mess with finances-he has a CFO, Blesson Oommen, who has managed the company's finances since 2000 (from the Dreamz Unlimited days)-and stresses that he lets his "boys and girls" take the business decisions. "In creative decisions, I am totally involved," says Shah Rukh. He's also involved in hiring most of the "boys and girls"-in his own inimitable style. Shah Rukh's more likely to spot talent within his immediate environs than on B-school campuses. Consider how he pulled in Samar Khan, a former television journalist covering entertainment, to head Red Chillies Idiot Box. A little over two years back, the ex-scribe, who had started his own TV production firm, got a phone call that changed his life. On the phone line was Shah Rukh, whom Samar had interviewed several times in his career. "I remember you asking me in your interviews as to why I wasn't getting into the business of television. Well, I am doing so now and I have a few plans for the next three years. Why don't you head the division?" "I could hardly say no," grins Samar. "I told him I knew nothing about number-crunching or about running a business. But he was willing to back me. It's not everyday that you get to work with SRK on a long-term basis." Clearly, if SRK's charm works with audiences, it would also with his employees. "He is the most down-toearth superstar you will ever see," says Sanjeev 'Bobby' Chawla (Juhi's brother), who has been part of the core team right from the Dreamz Unlimited days and runs the Red Chillies TV commercial division. Yet, the danger here for a company that has such a larger-than-life person at the helm is that people working with him will hesitate to call a spade a spade, tow the boss' line even if he is prone to make stupid decisions, and ignore glaring threats just because the owners don't see them. The way SRK sees it, that's not quite the case. "The people I have hired don't just work hard but each of them thinks of the business as his (or her) own. They think of ways to improve matters- they're not just employees working to a mechanical plan." Yet, the biggest threat to SRKcould well be somebody he can do little about-himself. Superstars aren't allowed to fail, as Amitabh Bachchan discovered in the 90s. One error and he could well be condemned. "…No one allows a big star to make mistakes or fail. Whereas business is actually a series of success and failures. The skill lies in quickly setting your failures right and building on your successes," says Pritish Nandy, Chairman, Pritish Nandy Communications. That would seem precisely the road SRK is traversing-for instance, if KKR turns out to be a failure (by not winning), don't rule out the possibility of him selling the team. He'll move on to something new. Last April, on the last day of the month, SRK flew into Mumbai from South Africa after witnessing KKR's disastrous performance. After voting in the general elections, the same night SRK lands up to perform at the wedding reception of a real estate baron's nephew. He breaks a glass over his head, Devdas style, cracks jokes about his IPL team and signs autographs for guests for all of the 30 minutes. At the end of it, he goes home to sleep closer to dawn (that's almost a routine), richer by a little over Rs 5 crore. That's a model that's difficult to replicate, that requires zero leverage (if he needs money, he'd rather shake a leg than enter a bank) and that will ensure that for some time to come SRK will be generating sufficient cash to fuel his creative and business ambitions. 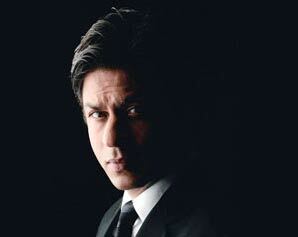 Shah Rukh Khan, CEO: Oversees all creative decisions, takes final call on policy matters such as entering new areas. Gauri Khan, Managing Director: Manages business affairs with SRK and oversees HR; also signs all pay cheques. Blesson Oommen, CFO: Looks after finances of the entire group, including taxation issues. What It Does: Produces films under the Red Chillies banner. Films produced so far include Main Hoon Na, Paheli, Om Shanti Om and Billoo. What It Does: Produces/co-produces TV shows/serials. Shows/serials done so far include Tere Mere Beech Mein, Knights and Angels, Ghar ki Baat and First Ladies. What It Does: A post-production and special effects business. Works include: Don: The Chase Begins Again, Om Shanti Om, Chak De India, and its current project Ra One. What It Does: Makes commercials for television. Clients include Hero Honda, Pepsi, Airtel, Hyundai, ICICI Bank, Videocon, Nokia, ITC. What It Does: A cricket team in the Indian Premier League, no major victories but is profitable. SRK'S Vision: Do 3-4 films every year, with SRK starring in the big-budget ones (over Rs 20 crore). SRK'S Vision: To be ready in five years to make programming that isn't being made today. SRK'S Vision: Be the best VFX company in India, and the biggest revenue generator for Red Chillies. SRK'S Vision: Do 100 commercials in a year - up from 40-45 currently - before 2015. SRK'S Vision: Make KKR like the ManU of the IPL, and own a stadium of its own.